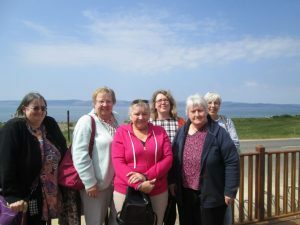 It has been a very busy year for the Crafts and Company collective who have been involved in a range of charity fundraising events while also promoting and enjoying creative crafting on Arran. 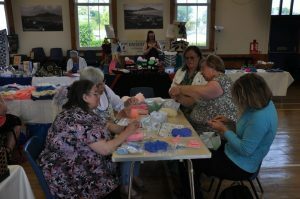 Once a month they have offered their very popular monthly craft club featuring a different craft every month. Together members have made bags, flower arrangements, dream-catchers, felt animals, jewellery and much more besides. 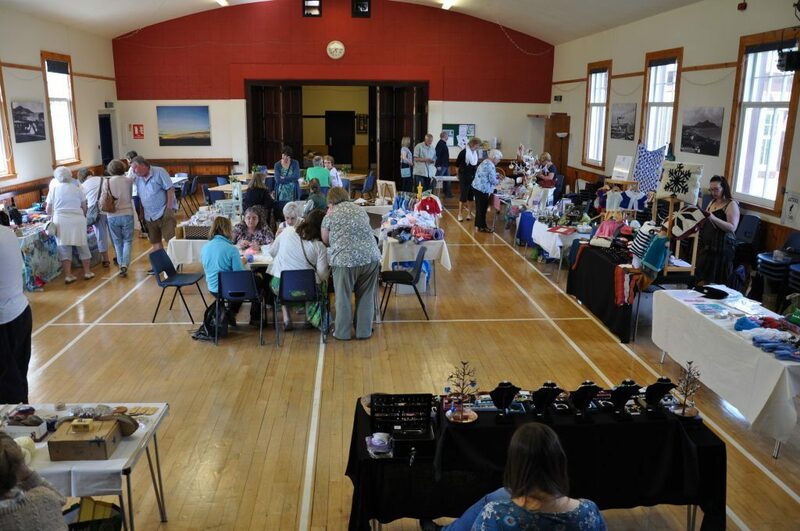 They have also organised a monthly crafts fayre in Whiting Bay village hall with more than 20 stallholders all selling their handmade products. Crafts and Company have worked with a number of charities on inventive and rewarding campaigns. Just as last year ended, two members of the collective were busy sewing small pouches to give to members of the Music Matters group so they might keep their ipods and leads safe. The members use these ipods to listen to their music at home. The craft collective were delighted to be asked to help. The group spent much of the winter months at the beginning of the year in outreach workshops with various community groups decorating pencil cases for the Backpack Project with the charity Mary’s Meals. These pencil cases went into the backpacks to make a special gift with no two being the same. The Crafts and Company collective especially wished to thank members, residents of Glen Estate, Duke of Edinburgh young people and members of Lamlash Church for their support with this project. Over the spring and summer, the group all knitted squares to go to the Knit-a-Square project in South Africa. The local women in South Africa knit them into blankets for children orphaned by AIDS. People from all over the island helped with this campaign and the group have sent 100 squares and are hard at work on completing three blankets as well. The current project began in September and is called Project Friendship Quilt. Crafts and Company Collective are working with the charity Disability Africa which does vital work providing play schemes and a range of therapies for disabled children all across Africa. In this campaign, the group are offering embroidery kits for sale for £5 which contain a printed design to stitch and information about the charity. All of the money goes to the charity. Once the squares are completed you send them back to Crafts and Company Collective who will be spending spring next year sewing them into lap quilts. They will then auction these quilts with all funds raised going to the charity. The campaign has been hugely successful and there are already people all over the country stitching away thanks to the online shop at www.craftsandcompany.net which supplies the kits.